This protocol combines the benefits of intermittent fasting with a ketogenic diet. When combined, these two powerful interventions work to change the body from the inside out! Turn your body into a metabolically active fat burning powerhouse. What is a Ketone? Ketones are metabolic byproducts of fat metabolism. Normally, carbohydrates are available and burned for energy. During a ketogenic diet, carbs are less available and the body begins to convert fat into fuel for the body. What is the ExoTone Program by Desbio? During the ExoTone program, you will gradually adapt to a diet that is 70% fat, 25% protein, and 5% carbohydrate. The great thing about this program is that you are eased into this macronutrient breakdown gradually and you have support products to ensure that you reach ketosis and optimal metabolic health. 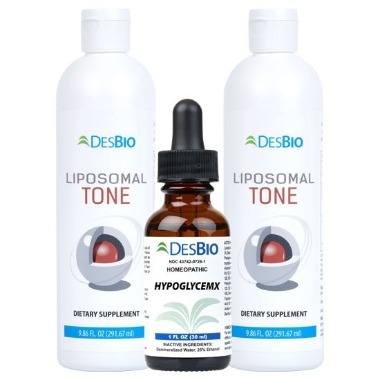 This contains 2 Liposomal Tone, 1 HypoGlycemX, and a user guide. 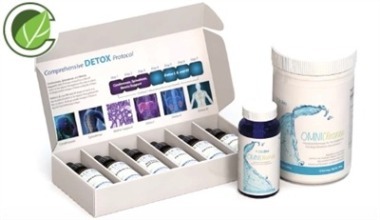 This detox kit contains, Comprehensive detox kit, Omnicleanse capsules, Omnicleanse powder and user guide.